Healthcare facilities are exposed to a high level of airborne bacteria and germs and it’s a difficult process to rid the air of these germs – especially when patients or staff members become sick. 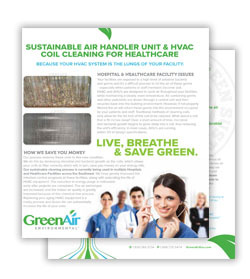 HVAC and AHU’s are designed to cycle air throughout your facilities while maintaining a steady, even temperature. 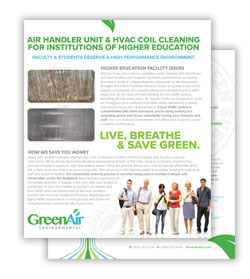 Did you know, that a direct correlation exists between the cleanliness of school facilities and students’ academic performance, according to a recent study of college students nationwide by the Association of Higher Education Facilities Officers? 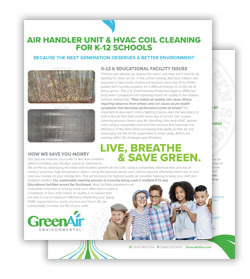 Indoor air quality is one of the biggest components of a school’s physical.